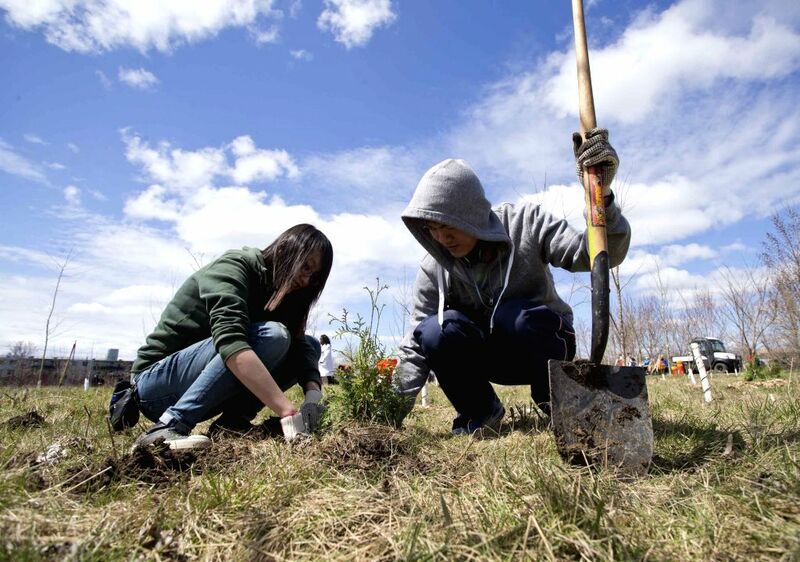 TORONTO, April 27, 2015 - A worker (front) shows how to plant a tree to people during the 2015 Earth Day Tree Planting event at Downsview Park in Toronto, Canada, April 26, 2015. 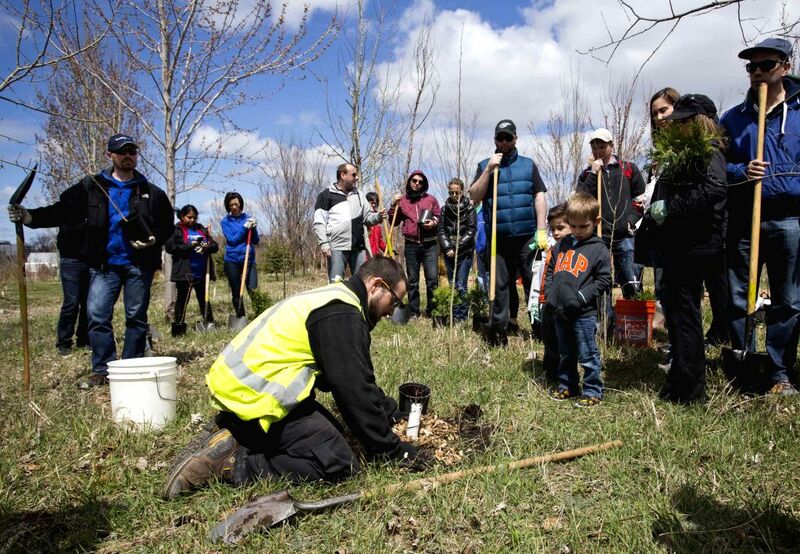 Some parks in Ontario invited people for tree planting to celebrate Earth Day on Sunday. People take part in the 2015 Earth Day Tree Planting event at Downsview Park in Toronto, Canada, April 26, 2015.